Service, the selfless act of giving, loving others and making a difference, is an underlying core value of Lutheran education and as such, forms an important part of Pacific Lutheran College’s ethos and education practice. At Pacific, students learn about service through serving others in a range of contexts and practical activities. Reflection and analysis are an important element of service learning as it allows students to make meaningful connections, develop deep understandings and evaluate ways they can make a real difference. Service is deeply integrated in Pacific’s curriculum, across all levels of the College community, providing rich experiences for students. The Christian Studies program incorporates a range of ‘living and learning’ topics, which teach students about civic responsibility and encourages them to get involved in their local community. Service learning also includes a social justice element. A major activity of the College is The Cambodia Project. Every two years, students from Years 10-12 have the opportunity to participate in a service learning / study tour to Cambodia. 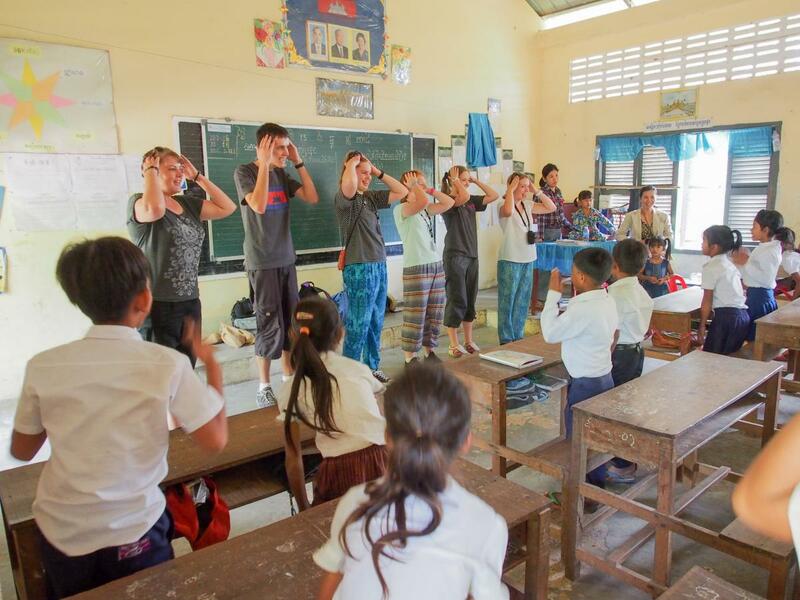 On the trip, students learn about poverty and development issues and connect with the Lutheran Church and other non-government organisations. Students across the College also learn about Cambodia and raise funds to support development work in the region. Collecting for the Salvation Army’s Red Shield Door Knock Appeal and donating food and household items for those in need in our local community. Honouring the sacrifices of Australia’s servicemen and women through participating in Anzac Day commemorations. Visiting and building relationships with residents at local aged care facilities including Caloundra’s Centaur community. Raising funds to support various charities. Service activities organised as a response to specific needs (for example, assisting with the clean up after floods in the Lockyer Valley and Bundaberg). Attending Australian Lutheran World Service Awareness Day to learn about social justice issues and following this up with action as appropriate. Assisting with Open Day, Middle College Orientation Day Grandparents Day, Pacific’s OCEANfest and other College events.